Kerala is a stunning holiday destination. The landscape is rich and varied – peppered with mountains and valleys, dotted with beautiful blue lagoons and copious rivers. 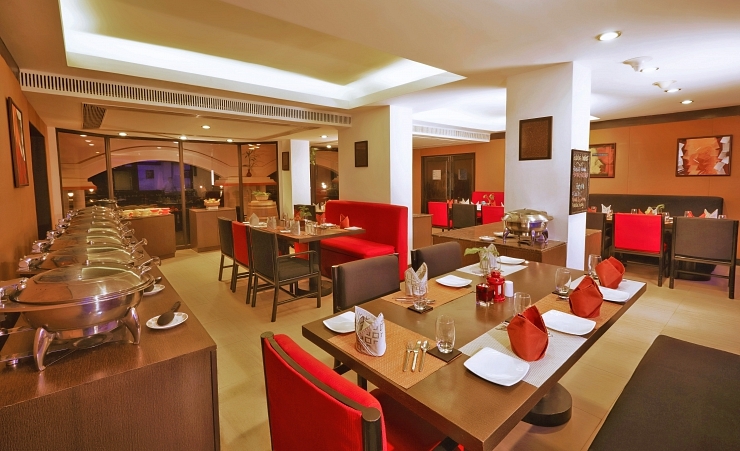 The Gateway Hotel is your entry point to all that Kerala has to offer. 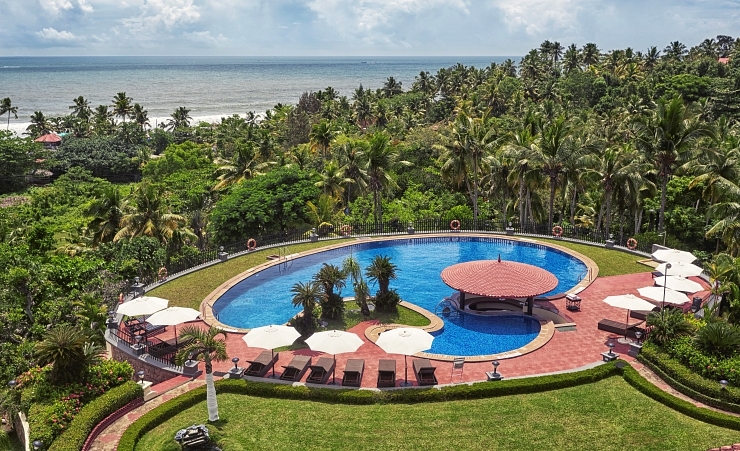 Situated in the peaceful village of Varkala – just a little way from the busier Thiruvananthapuram district – it is a charming and convenient spot for getting to know Kerala. Location isn't quite everything. 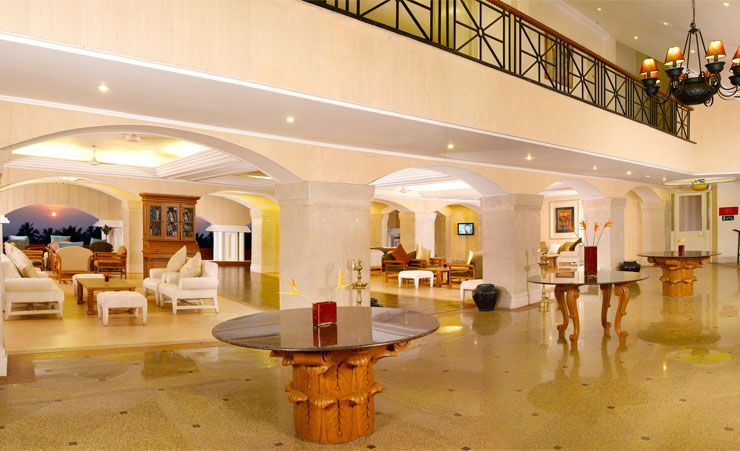 Inside the Gateway Hotel is a wonderfully welcoming place, beautifully presented and boasting lots of excellent amenities. 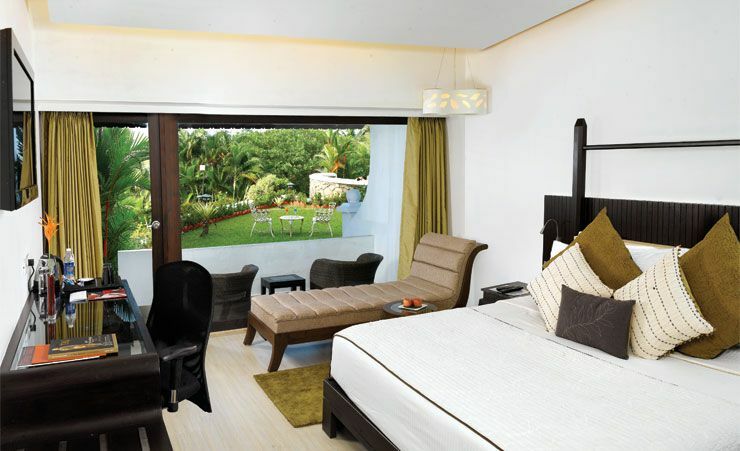 The pristine white walls and contemporary styling make it look every inch the four star facility. The beautiful outdoor pool is one of its highlights. With its sweeping contours and clear blue water, it's just about impossible to resist a dip. And you can sit back and enjoy it even more at the rather wonderful sunken bar. 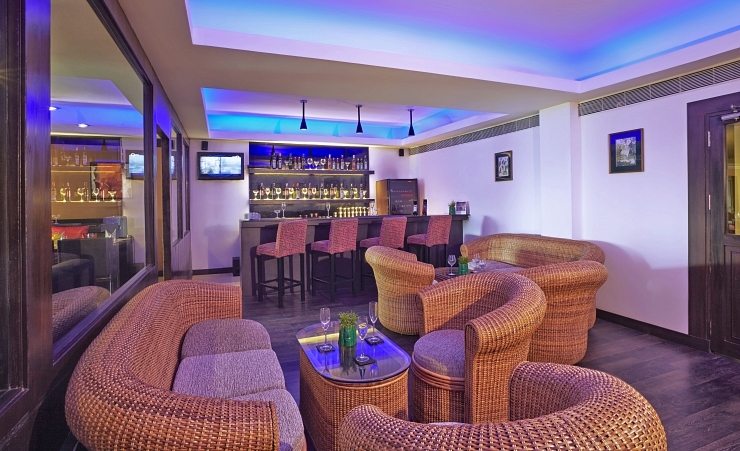 From its elevated position, the Gateway Hotel affords stunning views out over the beach and the sea. The hotel does offer sea view rooms at a supplement – do ask for details if you're interested. Or you may prefer one of the equally gorgeous garden view rooms. They're all en suite and come with satellite TV, telephone, minibar, and drinks making facilities. The full board package at the Gateway Hotel includes all meals, as well as one complimentary soft drink and fruit juice per day at the poolside. You may well be tempted to spend a lot of your time in and by the pool, but don't forget the hotel's excellent sports facilities for tennis, volleyball and badminton. We'd also recommend spending some time in Varkala. It's a fascinating place, with its ancient temples and a rich history waiting to be uncovered. All that – plus a fantastic beach. Getting there by a bike is a good idea and you can borrow them (at no charge) from the hotel. The Gateway restaurant and Ayurveda massage centre complete the picture – and provide the last essential ingredients for a holiday that will relax and invigorate. Breakfast, lunch and dinner. 1 soft drink and 1 juice per person per day at the poolside. (Time and measurement stipulations may apply). 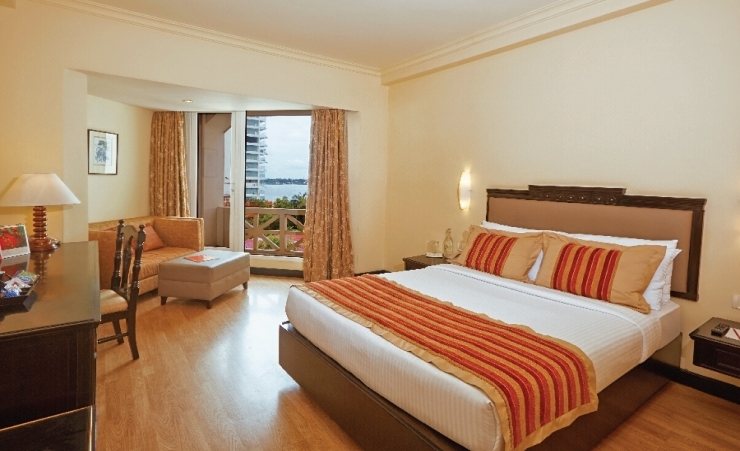 Find out more about your accommodation and the in room facilities at the Gateway Hotel . This is where elegance meets efficiency. With chic modern interiors, these rooms are equipped with a 32” LCD television with satellite channels and a spacious bathroom with a shower cubicle. 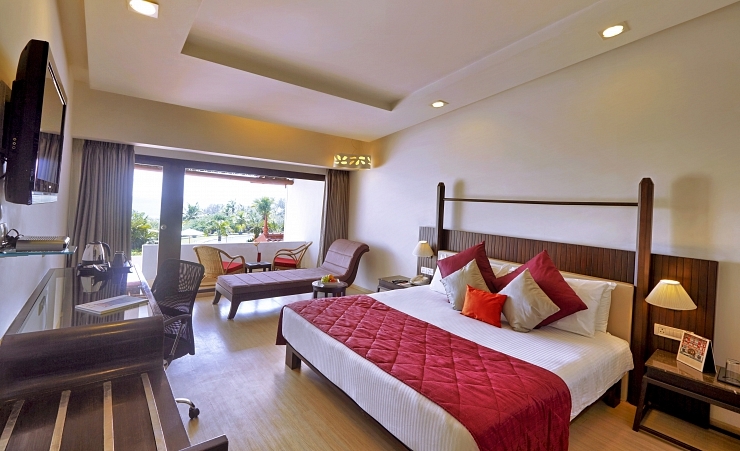 A sea facing room with all the modern amenities that not only add to your comfort but also keeps you connected on the go. 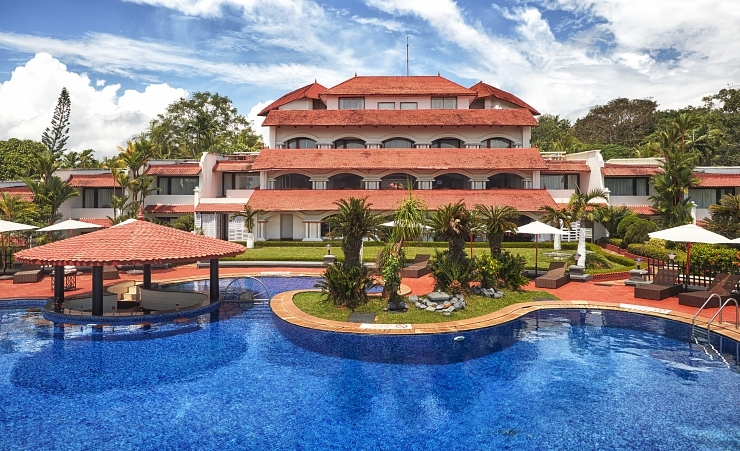 Stay for 7 nights or longer on full board and receive a “farewell” traditional Kerala meal experience. Why not add-on a 6 Night/7 Day Treasures of Kerala Tour? Transfer Time: approximately 65 minutes. 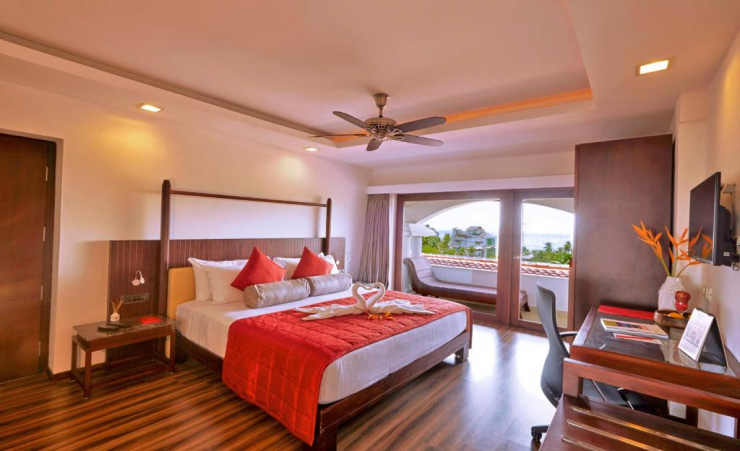 Excellent hotel which is ideally situated in Varkala. Facilities include yoga classes, tennis, spa, massage, open-air dining and a lovely fresh water swimming pool. Food is excellent and service first class. We have travelled with Mercury many times and always found their holidays excellent value for money and the service they provide is first class. Thank you very much we look forward to booking again for next year. Wonderful staff, room and beautiful food. We spend a fantastic 3 weeks at this hotel and met some lovely people. The staff did go out of their way to make our stay perfect. Special mention to the waiters Shiba, Tony and Vishnu and head chef Ratesh who cooked us a special meal before we left. We stayed at the Gateway for 6 weeks and loved every minute. The hotel is peaceful and has all the facilities we require. The yoga in the morning was particularly appreciated as were the tennis courts and the freshwater pool. The food was varied and delicious and the service excellent. The hotel grounds are beautifully kept and the room were cleaned to a very high standard. Everything about our holiday was excellent. 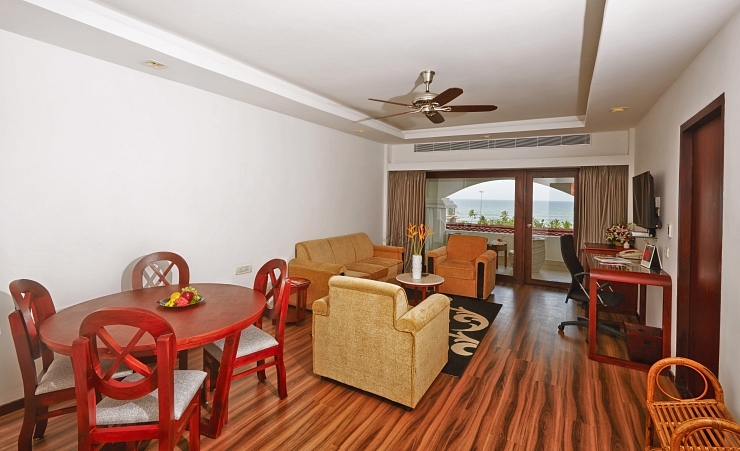 Lovely hotel conveniently situated near to Varkala beach. Very friendly and helpful staff and excellent food. The manager and all his team were absolutely fantastic and supplied everything we needed and more. Gonia at your office was very good when I had to get an emergency visa. Rajask in Kerala was also excellent. Fantastic hotels & itinerary, staff extremely helpful. We have always found your mini tours (in this case Mini Tour of Kerala) are a really good way of seeing the main sights. The 'backwaters' was a great experience but it was nice to see the superb hotel that we had afterwards. The Gateway Hotel was excellent in every way. Please pass on our compliments to all the staff. We love everything about this little gem of a hotel. Our ground floor room with its little garden was just a few steps away from the pool and restaurant. The rooms are cleaned to a high standard and are most comfortable. The food in the restaurant is freshly cooked to order, with an extensive menu and any special requests are always catered for. The waiters are friendly and efficient and provide helpful advice on the dishes available. 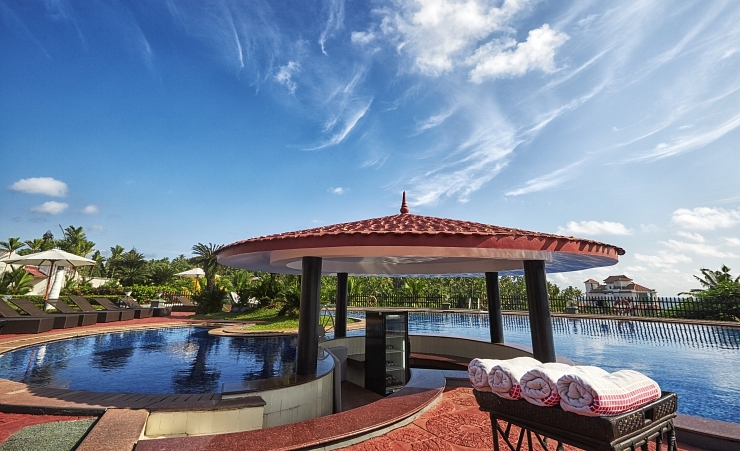 The beautiful pool is always clean and sun loungers and clean towels are always provided promptly. The Ayurvedic Spa is very good and well worth a visit. The grounds of the hotel are well maintained. Staff at the hotel were excellent and couldn't do enough for us. Food was great and all facilities available from massage to table tennis. Highly recommend the Gateway Hotel for a relaxing holiday.